The heating power you get from Vornado heaters is like nothing else on the market. Harnessing the same airflow technique they developed for their fans, there’s no other way to get such an even and constant warmth flowing around your living space. After the success of our comprehensive guide to all of Vornado’s fans, I wanted to make the same helpful resource for their heaters. I’ve covered every type of heater – curated into bitesize sections so that it’s easy to find the one that suits you best. You know those companies that start out with so much promise, but then sell out to the highest bidder? Vornado are one of those companies. Except they haven’t sold out. They’re the only manufacturer making fans like these. The unique method spirals the warm air – letting it ‘bounce’ off a wall or ceiling. This sends the heated air flowing around the whole room. Vornado Heaters don’t just warm one tiny area. They let you enjoy a continuous warmth flowing all around you. If all that Vornado did was manufacturer these unique heaters, they’d still have a product worth buying. But they do so much more. Unique Technology (that works!). No other company are making heaters as effective as these ‘spiral’ models. High Build Quality. The quality of their parts is typically excellent – especially in the newer models, and even more especially in their metal cased heaters. Unbelievable Warranties. I still can’t believe a company can offer such huge warranties for a $100 product. When you buy a product that is covered for 5-10 years by it’s maker, you know they have a product they’re confident in. Great Customer Service. It’s rare to find a review that mentions customer service without a glowing response. They really back up their awesome warranties with a matching level of customer service. One worry I had was that even if the warranty is for a long time, maybe they’re being sneaky. Maybe it’s only ‘for the case’ and not for the actual heating parts? The long warranties don’t hide any tricks. The ideas, and original patents, belong to the late Ralph K. Odor and Ottis A. Sutton. Originally aeronautics engineers, they first coined Vornado fan technique back in the 1940’s – while designing a new airplane. With the help of a friend, they transferred that same idea to home-fans, and later to heaters. 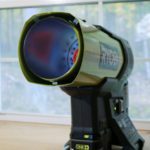 Yes – these heaters are based on an airplane design! 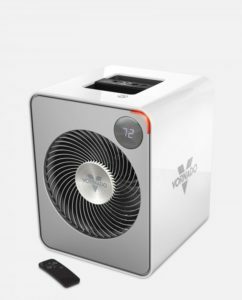 First up are Vornado’s bread and butter when it comes to heaters – the ‘Whole Room AVH’ models. Being super-small at only a foot tall doesn’t stop them from packing all the power you need to heat a good-sized space. They also look great without the added expense of the metal models you’ll see below. The modern design, while plastic, is solid quality and looks great. I can’t get enough of how good these heaters look. They look like a state-of-the-art speaker, let alone an appliance which will heat your whole room. Not only are they super-stylish, but the metal doesn’t even get hot! No matter how much heat is being produced, the metal case stays completely look. Curious fingers need not be held at bay. If you don’t mind paying an extra few dollars and have the type of modern space that would suit these metal heater’s, they might just be the perfect addition to your home. These VH models are older versions of the AVH models I covered right at the top. And with one glance you can see that the design isn’t quite up to the same standard. However, their heating capacities are just as good, and you get the same type of airflow as the newer models. If you’re after function over frivolity, these are a great cheaper option which still provide great heating potential. Vornado’s tower heaters act similarly to their standard models. However, they don’t quite ‘spiral’ the air. 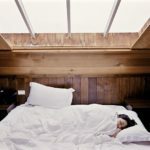 Instead, they focus the airflow to provide a wide current of warmth to encourage the airflow rebound to cool down the whole room. With tall and slender designs, these sleek heaters will fit nicely into any modern living room. Perfect in locations where having the air a bit more focused would be ideal. Like towards couches where the family sit, or over your bed. 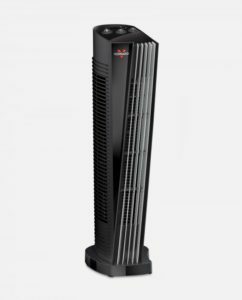 Check out this quick video by Vornado to check out the advantages of these tower heaters. 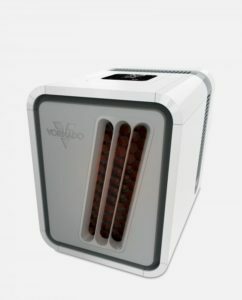 One very unique model from Vornado is this infrared heater. Enjoying the same quality as the other metal models, it also stays cool to the touch while looking amazing. What’s the difference with infrared? Instead of blowing out hot air, it heats an area directly. Just like the sun. When you stand in the heated area, you instantly get warm – it doesn’t take any time to warm up. Infrared heaters are easy to maintain (no moving parts), and operate totally silently. However, they can get overly hot, only heat a smaller area, and the heat also fades as quickly as it comes. This heater’s great for a small space or particularly good outdoors to directly heat a seating area. If you’re looking to heat a small area like a desk, bed, or workbench, these smaller heaters might be perfect for you. They pack the same great power as the larger fans, while being small enough to sit comfortably on your desk, rest near your bed, or happily warm up your workbench. They have a similar, but less strong, airflow bounce effect. The trick is to angle them at the wall infront of you, and enjoy the warm air flowing back towards you. These fans are great if you’re going to be in one place for a long period of time, working or reading by yourself. If you’re in the market for a new heater from Vornado, maybe you’ve heard about the big recall they had to do in April 2018. (Or maybe you haven’t, and are now super worried!). As amazing as space heaters are, safety is always a concern with them. As reported by Nationwide Insurance, 2014 saw 56,400 home fires occured in the US from heating equipment – resulting in over 500 deaths and a lot of money in property damage! 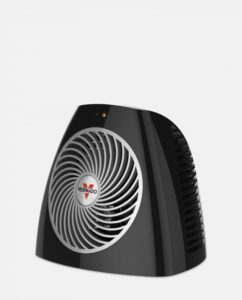 As someone who is a bit of a Vornado fan (see my guide to their best heaters) I wanted to take a look into this. I’ve summarised everything you need to know about Vornado Heater safety below – I hope it’s helpful. Yes, Vornado Heaters are safe as any other space heater on the market. Vornado have some of the best product quality, warranties, and customer support – and they instantly recall and replace anything with an issue. What happened in April 2018? We saw a recall of over 350,000 Personal Space Heaters by Vornado. These were all only for 1 product – the Vornado VH101 Personal Vortex Heater. This was in response to 15 fires caused by the small models overheating. There were no injuries because of the fires – and Vornado provided refunds or replacement (shipping included) to every affected customer. Is this type of recall common for Vornado Heaters? No. It’s really rare that Vornado recall any product – though it has happened once or twice before. Particularly for a ‘Sunny CS Nursery Heater’ because of a broken motor mount which could cause overheating (only around 5,000 models were recalled). If you have a certain model in mind, you can keep up to date with any product recalls Vornado do using this link. Why are space heaters so unsafe? Space heaters themselves aren’t naturally unsafe. It’s people that use them wrong. All a space heater does is produce very hot air, without any use of fire or dangerous techniques. However, if a space heater is covered up, if it’s left really close to something flammable, or left running and unattended for very long periods of time.. bad things can happen. These are what cause the 80% of fires due to space heaters. They’re also why so many people end up burned by touching hot parts of the heater. What can I do to prevent burns/fires? 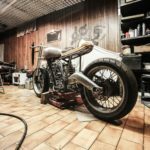 Just by reading this article, you have already done the most important thing when it comes to prevention – understanding things can go wrong if you don’t respect it! Besides respecting them, the most important thing you can do is give them plenty of space and not leave them on (or unattended) for long periods of time. 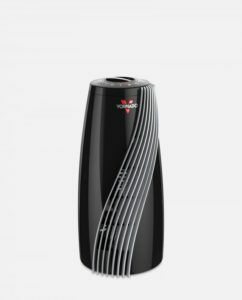 Are Vornado Heaters worth buying? Now I need to provide you with a disclaimer before answering this – I’m a pretty big fan of Vornado as a company. I’ve written two comprehensive guides to their fans and their heaters because I think they’re vortex technology is so worth it compared to normal oscillating fans and heaters. With that said, Vornado Heaters are definitely worth buying in comparison to other models at the same price. They don’t have safety issues – despite what online blogs might say from their product recall. They had to recall 1 main product, which they did quickly and fully compensated all their customers. In terms of quality they are always solid, and they provide the longest warranties on the entire market (5 years as standard). While they can’t do anything about the risk that all space heaters have, Vornado are at the front when it comes to safety and looking after their customers. 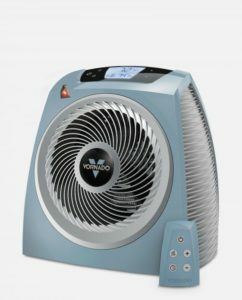 I believe Vornado Heaters are worth picking up, as a great looking and quality solution to heating a space in your home. 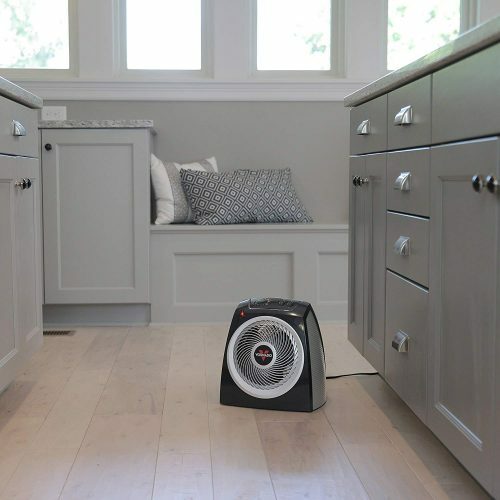 For as long as indoor heaters have been available for mass-purchase, Vornado have been a leading supplier of efficient, useful, reliable appliances. These heaters are no exception. Taking full advantage of the airflow technology that has powered their unique fans for decades. I hope that this guide has helped you to figure out the perfect Vornado heater for your living space. If you’re going to be buying an appliance with a 5 year warranty – you want to make sure you’re getting the right one!